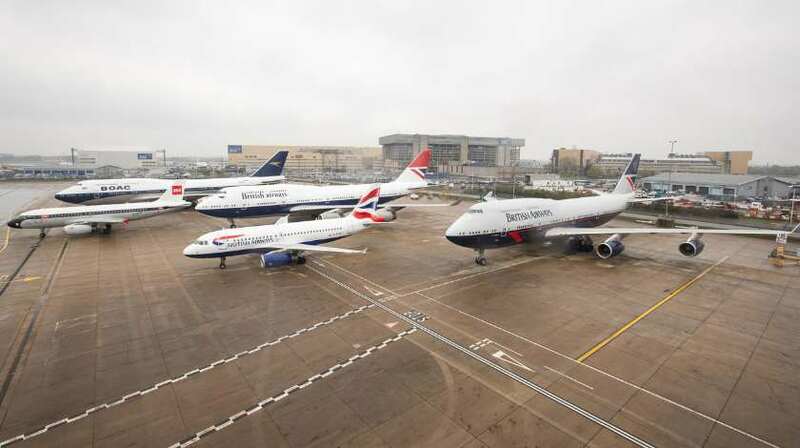 British Airways, which is celebrating its centenary this year, has brought together four of its aircraft in heritage liveries along with the fifth plane in the current livery to record in a unique photograph all the iconic BA designs. The unique “get-together” also marked another milestone. Already 50,000 travellers have flown on these special aircraft around the globe since they entered service. “The excitement and pride that we’ve witnessed from customers and colleagues as these heritage liveries, which we painted to mark our centenary, have flown around the globe has been unparalleled”, said Alex Cruz, British Airways’ Chairman and CEO. The airline revealed that “the painstaking process of arranging them for the photo took over two (careful) hours”.